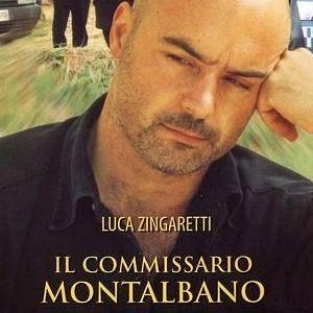 Montalbano’s Croquettes is not based on one of the books but rather a short story, Gli arancini di Montalbano, which is still not available in English. When I came to watch this again, I barely remembered watching it the first time around – however, some things fell into place that I know I wouldn’t have spotted the first time round, and that come to play later in the series. In particular the presence of Pasquale, the son of Montalbano’s housekeeper and his involvement in what happens during the episode. It’s the time between Christmas and New Year, and starts with Salvo talking with Livia on the phone. They have agreed to spend New Year in Paris (her choice) and it’s clear from the outset that Salvo doesn’t want to go. He hasn’t even unwrapped the tie she’s sent him and wants him to wear during the break. Fazio and the boys, Adelina (via Pasquale), and Mimi all invite Salvo out for New Year, but he declines, all the time telling people he’s going to Paris. Salvo has allowed Caterella to take on Orlando – the dog from the previous episode. Caterella is loving having the dog in the barracks, but needs to be reassured that Salvo is not going to take the dog away. Meanwhile an older man and his much younger second wife have been found dead following their call driving off a the side of the mountain. His son is a painter and a drunk, who inherits €400,000 from the old man because both him and Stefania have died. The car is only 2 months old but has been back into the garage several times for apparent issues to do with the brakes, but nothing was found. Turns out that Stefania is – Surprise! – one of Mimi’s old girlfriends, and unfortunately Beba finds out and gives him no end of trouble. The wedding has to be postponed because of Beba’s father has a heart attack, the morning after Mimi has spent the night at Salvo’s getting drunk and complaining about cold feet. Salvo is not impressed when he finds out that the one thing Mimi HAS done after the heart attack is to talk to Livia. 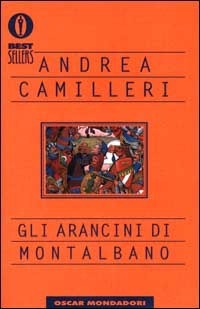 The dead couple were having their villa worked on, and when visiting the site, Montalbano finds they’ve been burgled. This leads them to raid the Albanian work gang, most of whom are illegal and undocumented. The commissioner decides to lock all the gang up, but in interviewing one of the workers (who was found with the stolen DVD Player under his bed) coughs up who gave it to him (Pasquale) and why (for getting a copy of the keys). Pasquale then gets picked up for the burglary. The police still can’t make sense of the accident – why did the brakes not work, when the garage had checked them out, and why were Stefania’s nails broken as if she tried to get out the car? They find a tape with Stefania’s voice on it telling someone about how he will inherit everything once his father was dead, which implies the drunken son. However, Pasquale had been sitting waiting to burgle the villa, and saw someone fiddle with the car – it certainly wasn’t the drunkard son! The police then have to consider that the drunk painter is not the only son of the old man, and with the help of his mafia contacts, Salvo finds the other child, what has happened to him, and how he fits into the death of his father and step-mother. It leads to a shocking result in a graveyeard that noone expected. Pasquale is back in jail due to the robbery, but Salvo (wearing Livia’s tie) takes Caterella to pick Pasquale and his girlfriend up in order to go to Adelina’s for New Year. Mimi had hoped to go home early, leaving Caterella to cover the phones, but Salvo manages to ensure that Mimi remains in the office (to get back at him over Livia?). Livia tracks him down to Adelina’s house and the pair have a raging argument on the phone as she’s fed up with him making every excuse not to leave Sicily. The episode ends with fireworks in the dark, lighting the sky.